Pope Pius XII and the Church in China involves relations of the Holy See with China from 1939-1958. It begins with the recognition of Chinese rites by the Vatican in 1939, the elevation of the first Chinese cardinal in 1946, the establishment of a Chinese hierarchy, the persecution and virtual elimination of the Catholic Church in the early 1950s, and the establishment of a patriotic, socialist Chinese Church, independent of Rome in 1957. For centuries, access to the people of China was difficult for the Catholic Church because it did not recognize their Confucian customs of honouring deceased family members. To the Chinese this was an ancient ritual but to the Vatican it was a religious exercise which conflicted with Catholic dogma. As a result, the Church made little progress in China. Within a year of his election, Pope Pius XII made a dramatic change in policy. At his request, the Sacred Congregation of the Propagation of Faith issued new instruction on December 8, 1939, by which Chinese customs were considered superstitious no longer, but instead an honourable way of esteeming ones relatives and therefore permitted to Catholic Christians. The Papal decree changed the ecclesiastical situation in China, and the Nationalist Government of China established diplomatic relations with the Vatican in June 1942, with the first Minister presenting his credentials in January 1943. As the Church began to flourish, Pius established a local ecclesiastical hierarchy and received Archbishop Thomas Tien Ken-sin SVD into the Sacred College of Cardinals  and later elevated him to the See of Peking. After WWII, about four million Chinese were members of the Catholic faith. This was less than one percent of the population but numbers increased dramatically. In 1949, there existed 20 archdioceses, 39 apostolic prefectures, 3080 foreign missionaries, and 2557 Chinese priests. The establishment of the communist government in 1949 put these early advances on hold and led to the persecution of thousands of clergy and faithful in China. A patriotic Chinese Church was formed. Since that time, the persecuted Catholic Church exists only as a tiny fraction of its original numbers operating secretly underground. The losses were considerable. For example, in 1948, the Catholic Church operated some 254 orphanages and 196 hospitals with 81628 beds. October 1, 1949, Mao Zedong officially declared the founding of the Peoples Republic of China. Its constitution from September 1949 guaranteed all vital freedoms, including the freedom of religion and prohibited discrimination against believers. However, the government, was committed to its ideological vision of Marxism, which was very hostile to religion and supported its eradication. The communist party very quickly equated religious affiliation with political and ideological loyalty, and was especially hostile to religious bodies that it saw as outside of its control. In Chinese cities, tolerance was practiced towards the Christian churches. In rural areas, persecution began in 1950. New laws against counter-revolutionary activities from July 23, 1950 and February 1951  created legal tools for going after “enemies of the people”. The Catholic clergy experienced increased supervision. Bishops and priests were forced to engage in degrading menial jobs to earn their living. Following the outbreak of the Korean war, in which western nations such as the United States played a primary role, foreign missionaries (most of whom were westerners) were accused to be foreign agents, ready to turn the country over to imperialist forces. They were expelled from the country, and not allowed to return (to this day); all mission properties were confiscated. The decision was made to neither jail nor execute for fear this may have provoked an international war between China and the western powers. This action was meant to symbolize China's liberation from foreign imperialism. The ‘Preparatory Committee of the Oppose American and Aid Korea Three-Self Reform Movement of the Christian Church’ was founded for the purpose of denouncing western missionaries in China. All churches were required to demonize foreign missionaries (even ones they had worked with for decades) and Chinese Christians who refused to comply were forced to enrol in political study sessions. YT Wu in July 1950 led a delegation on behalf of nineteen Protestant churches to meet with Premier Zhou Enlai, and at this meeting a statement was drafted calling for Christian support for the government. This led to the creation of the ‘Three-Self Patriotic Movement’ and the severance of all foreign ties to Christian communities in China. YT Wu later became the chairman of the Three-Self organization in 1954. The official policy forbade Chinese religious entities from being under the control of foreign entities. This proved especially difficult for Roman Catholics, since the pope was considered such a foreign entity. 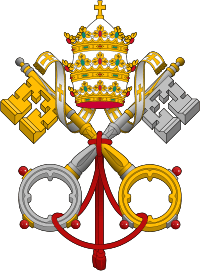 The Catholic Church was considered extremely threatening due to its hierarchical structure, its nationwide networks and its ability to block government penetration. The state demanded Catholics to give their full allegiance to the state, superseding allegiance to the Pope; political neutrality was not an option. Pope Pius XII replied to these attacks and persecutions in his encyclical Evangelii praecones, which concerned Catholic missions all over the world but includes his views on the new situation in China. In our own time there are countries in the Far East, which are being purpled with martyrs' blood. We have learned that many of the faithful and also nuns, missionaries, native priests and even Bishops have been driven from their homes, despoiled of their possessions and languish in want as exiles or have been arrested, thrown into prison or into concentration camps, or sometimes cruelly done to death, because they were devoutly attached to their faith. In 1951, the papal nuncio, Archbishop Riberi, was expelled from China. The Chinese government defined the Three Autonomies Movement (leadership, finances and teaching). Since the bishops interpreted this as an hostile attempt to organize the clergy, and to abandon the Holy See under the excuse of patriotism and nationalism, they objected. By 1953, many Chinese and foreign bishops and priests and lay persons were arrested, many of whom died in jail. Exact figures were not available. Pope Pius XII, in his encyclical Ad Sinarum gentem on October 7, 1954, warned the Chinese pastors that a national church would no longer be Catholic. He took a flexible stand on financial and organizational autonomy, stating that the Church viewed missionary and financial aid activities always as transitional. The training of domestic institutions and the formation of native clergy was therefore always the priority. At the same time one should not belittle the generosity of other Christians, who finance missionary activities. Foreign priests came in the name of Christ to China, and not as agents of hostile powers. Regarding the autonomy to teach, he agreed, it ought to differ according to place and conform, when possible, to the nature and particular character of the Chinese people, and to its ancient traditional customs. Lastly, there are some among you who would wish that your Church would be completely independent, not only, as We have said, in regard to its government and finances, but also in regard to the teaching of Christian doctrine and sacred preaching, in which they try to claim "autonomy." We do not at all deny that the manner of preaching and teaching ought to differ according to place and therefore ought to conform, when possible, to the nature and particular character of the Chinese people, as also to its ancient traditional customs. If this is properly done, certainly greater fruits will be gathered among you. In 1955, a mass arrest took place in the Shanghai diocese by the Chinese government. In one night on September 8, 1955, more than 200 clergy and faithful, including Bishop Ignatius Kung Pin-Mei, the Bishop of Shanghai, who refused to support "the Three Autonomies" movements to be independent of the Holy See, were arrested. July 1957, Chinese delegates founded the Chinese Patriotic Catholic Association, breaking Vatican ties, since Rome was considered an instrument of American capitalism (though Catholic Social teaching condemns both capitalism and socialism, see Distributism) and aggression. Long “voluntary re-education courses” followed for clergy and lay people. Priests and bishops were encouraged to study Marxism–Leninism, the teachings of Chairman Mao and the policies in order to give educated instruction to the Chinese people every Sunday. Counter-revolutionary elements were clergy who refused to participate in the patriotic program  The Bishop of Canton, Dominicus Tang was among the most prominent "counter-revolutionaries". Since 1957 he was under house arrest, interrupted only by “confessional meetings” lasting between two and four hours. Arrested on February 5, 1958, he was accused of preaching from the encyclical Ad Sinarum gentem of Pope Pius XII. Other bishops were jailed and tried or exiled, if foreign born. After all bishops were jailed, killed or exiled, the government declared the sees vacant and installed its own candidates. March 24, and 26, 1958 patriotic bishops took over the dioceses of Hankau and Wuchang. 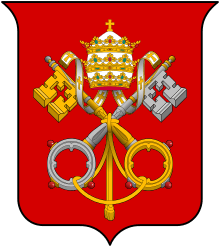 Others followed, after the rightful Catholic bishops were taken out and their legitimate representatives jailed as well  despite the vigorous protests of Pope Pius XII, who in his last encyclical. Catholic religious no longer exist. Foreign missionaries were expelled, the fate of most domestic religious is not known. Be constant and put your trust in Him according to the words: "Cast all your anxiety upon Him, because He cares for you." He sees clearly your anguish and your torments. He particularly finds acceptable the grief of soul and the tears which many of you, bishops and priests, religious and laymen, pour forth in secret when they behold the efforts of those who are striving to subvert the Christians among you. These tears, these bodily pains and tortures, the blood of the martyrs of past and present - all will bring it about that, through the powerful intervention of Mary, the Virgin Mother of God, Queen of China, the Church in your native land will at long last regain its strength and in a calmer age, happier days will shine upon it. ↑ ZENIT - Chinese Faithful Any Freer?